Suitable for all size notebook. 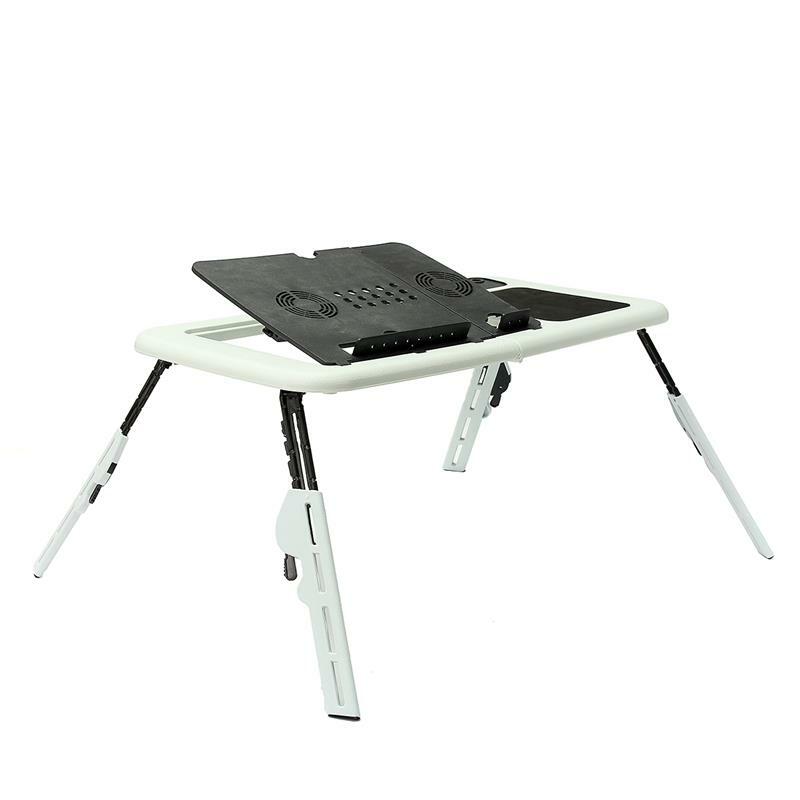 Legs adjustable to any comfortable angles when in use. 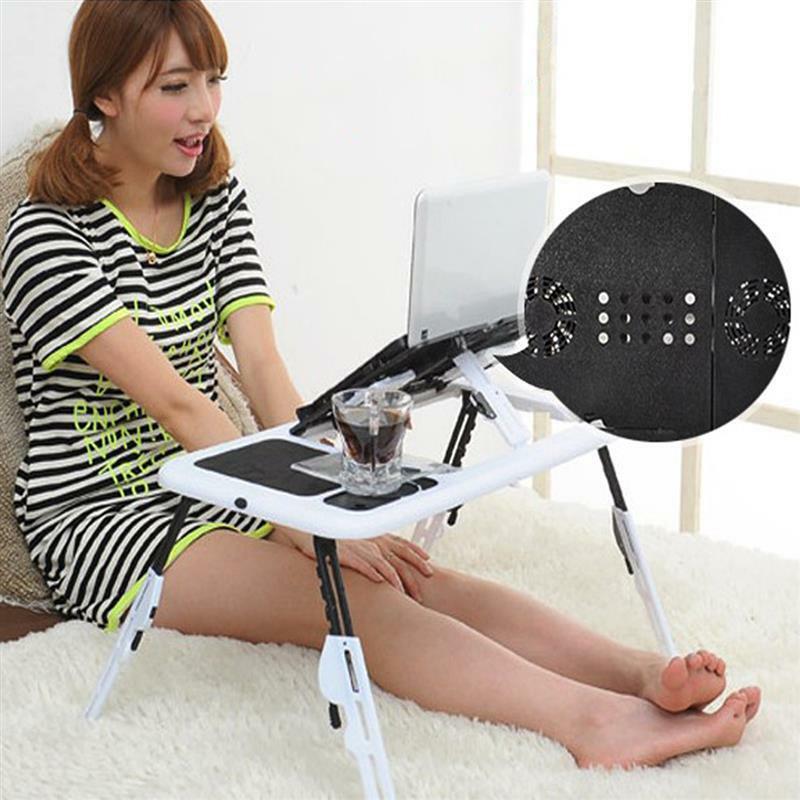 Foldable in desk and legs, small in volume,easy to take. 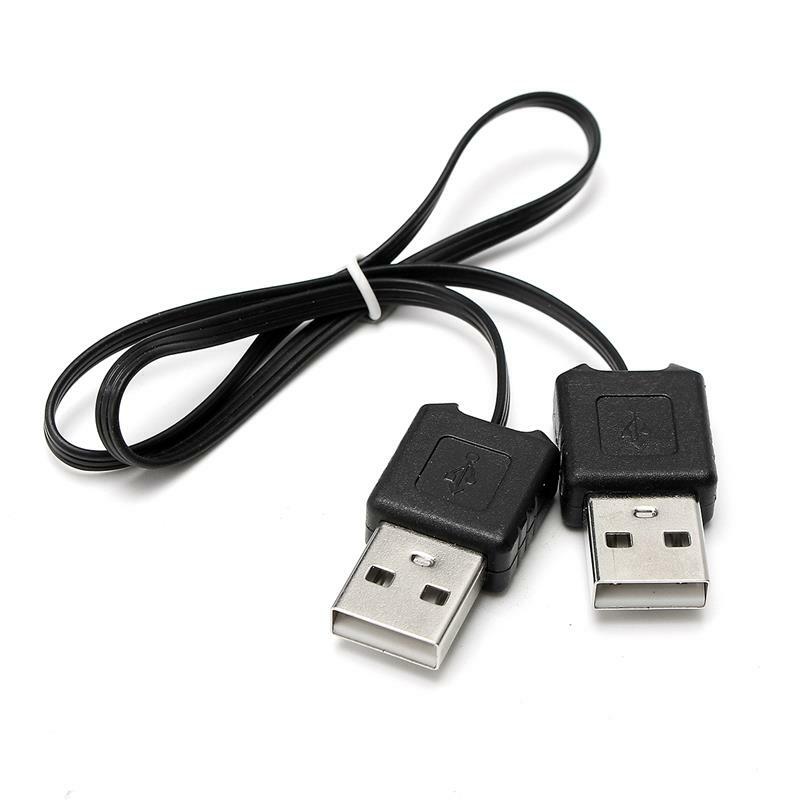 Dual cooling fans powered by USB,excellent cooling performance. 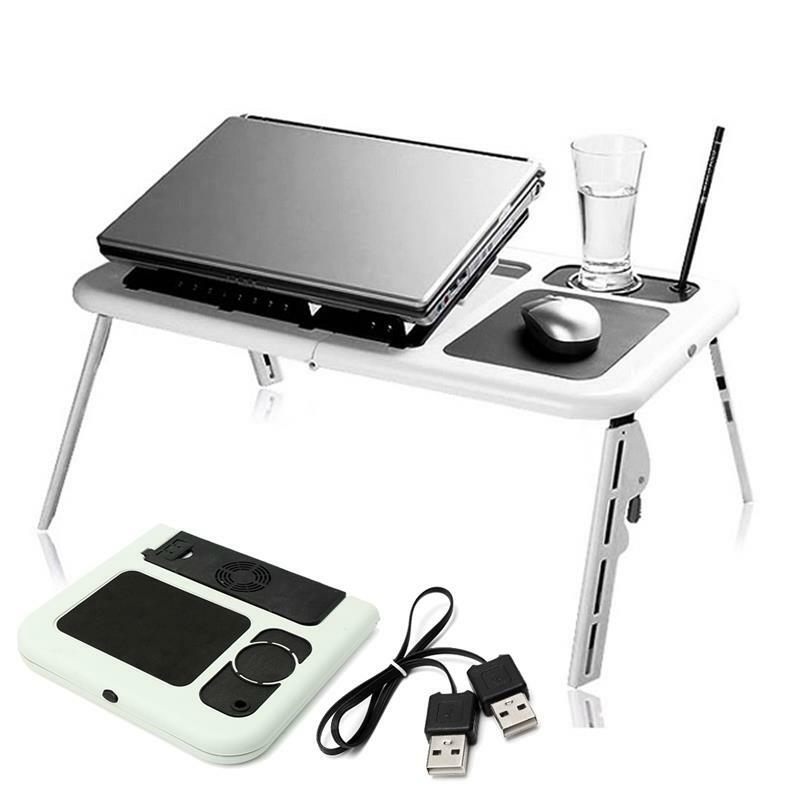 USB interface,adjustable height,cup tray and mouse pad design.Easy setup within seconds. Perfect for sofa,bed,car,floor or elsewhere when using notebook, reading, writing, eating or drawing. 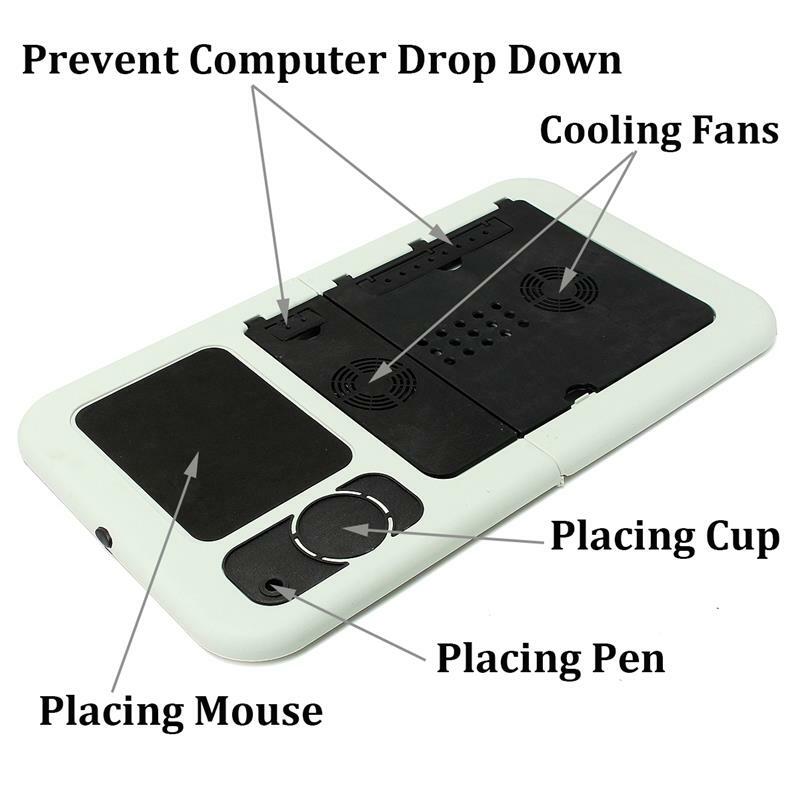 Wide application,can not only be used as a cooler,but also as a laptop /reading table in family and school, in an office and a car and travel. 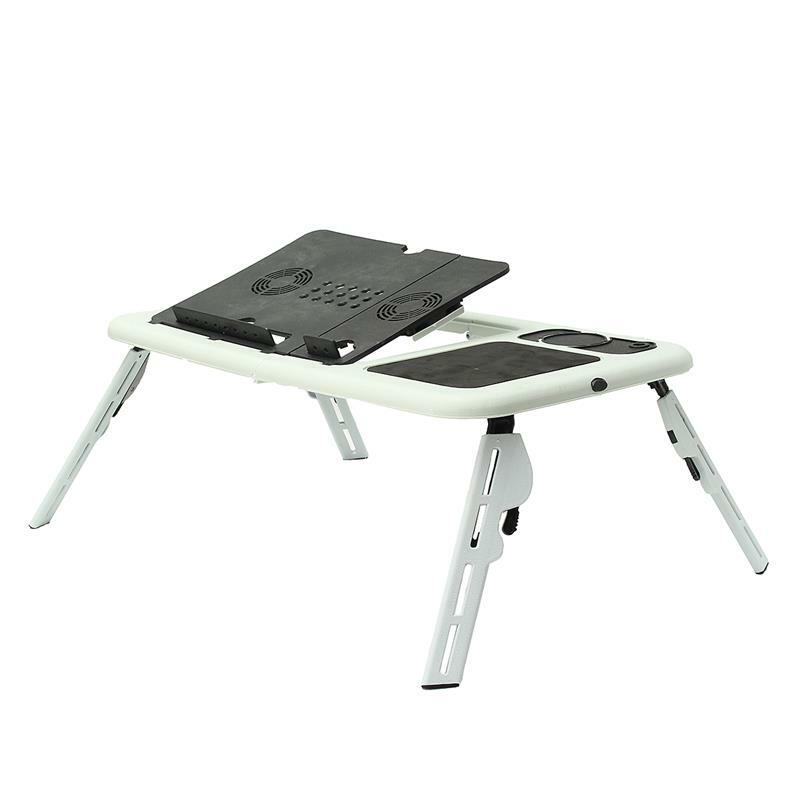 Portable Folding Laptop Table could be used as a portable laptop table,laptop holder,bed table,reading table and many more.Also suitable for car and traveling purpose. Manual measuring, please allow 1 ~ 3 cm error,thank you. Due to the difference between different monitors, the picture may not reflect the actual color of the item. We guarantee the style is the same as shown in the pictures.Please understand, thank you!